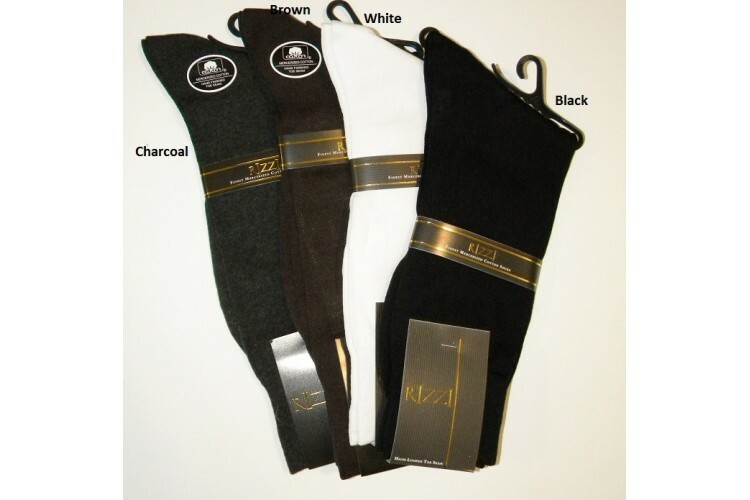 Please note: This sock is 100% cotton from toe to the upper rim of the socks, is it important to point out that elastic is needed in any sock in order for the sock to stay up, this is not a non elastic sock, this is a sock constructed with 100% cotton from toe to rim. In reality this sock and any other socks that is labeled 100% cotton has between 3 -5% elastic on top needed to hold the sock in place. 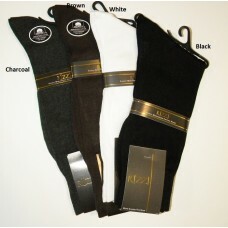 All socks have elastic up in the rim but they also contain 20-25% of nylon reinforcement through out the sock for durability, our vannucci 100% cotton socks forgoes the reinforcement of the sock making it a truely 100% cotton sock from toe to rim, thin elastic band on top to hold the sock in place.